Please take a few minutes to congratulate our own Howard “Howie” Taylor. Howie was recognized at the Carroll District Dinner as a Carroll District Scouter of the Year. He was honored for his work to revise and greatly improve our Pack’s Pinewood Derby over the past few years. Best of all, Helene (our co-conspirator and Howie’s beautiful wife), got Howie to the event without him suspecting a thing! It was a total surprise! Congratulations, Howie – and THANK YOU FOR ALL OF YOUR HARD WORK! 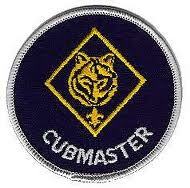 At about 8:00 PM on Friday, June 7, 2013, Diane and I walk across the bridge and end our Cub Scout careers. 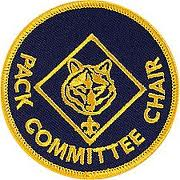 Without a new Cubmaster and Committee Chair to take our places, the Pack will fold – effectively ending all of the hard work we have all done over the years to building a stronger Pack for the benefit of the boys in our community. In reality, it takes only a few hours a week – seriously. One of the most important “tricks” to be successful in these positions – delegation! There are many other people who are willing to help – just not many who are willing to lead. I can’t really help you with that one! It’s not that big a deal. The bar is pretty low. No one is expecting a Broadway show or a professional stage production. You get to make the position your own – it is going to be different from the way Diane and I ran the Pack, and that is OK. If you are interested, Diane and/or I would love to meet you at Panera one evening so we can talk about the realities of the position. Shoot us an email (marc.fischer@transwestern.net or dwolf@merrittclubs.org) if you are interested in talking.